The Dataprobe iBoot-WiFi extends Dataprobe's popular remote power switch family with wireless connectivity. Users can now protect critical system from unnecessary downtime without having to pull an additional network cable. Compatible with all browsers as well as through the iBoot Cloud Service for anytime, anywhere reboot of crashed systems. iBoot-WiFi will save you time and money by reducing costly downtime. Just point your browser to the iBoot-WiFi, login and you are one click away from bringing that failed system back to life. iBoot-WiFi will even detect failed systems and take immediate action. 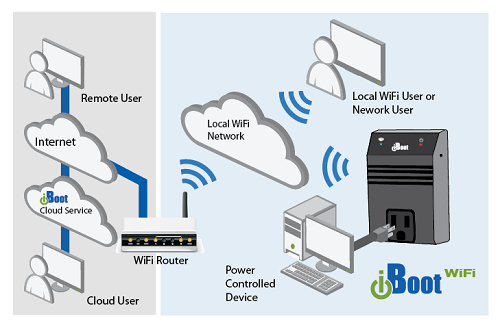 iBoot Cloud Service (iBCS) allows customers with iBoot-WiFi to access and control multiple iBoots in multiple locations from a single portal with a single sign-on. iBoot-WiFi automatically monitors and protects your network. AutoPing continuously tests your connectivity to the internet or to any device on your network. When the network is down, or the device stops functioning, iBoot-WiFi reboots the failed system to get you back on-line fast. 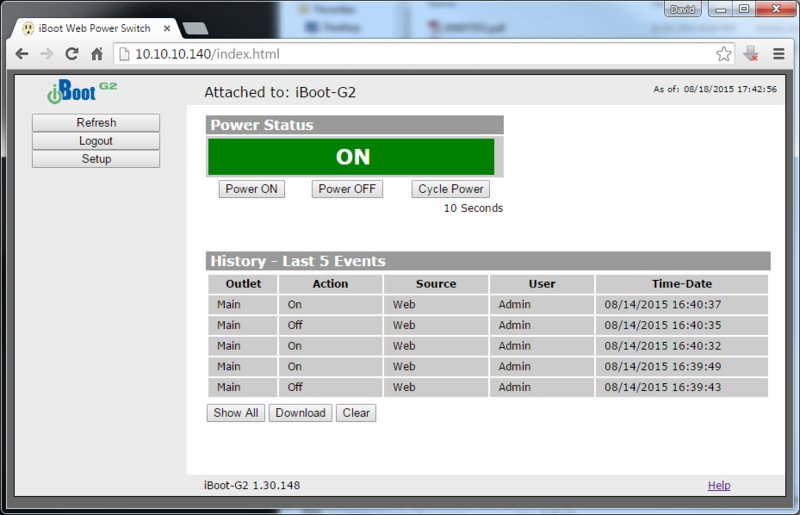 iBoot Cloud Service Compatible: Control all your iBoots from one web portal from any web browser, anytime anywhere. 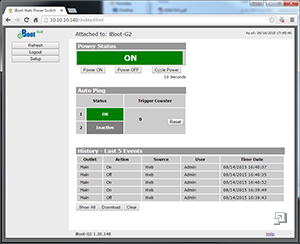 Micro Access Point: Secure local control and configuration. WPS Setup: Easy setup with supported routers. UL Listed / FCC 15B / RoHS / WEEE: We take your safety seriously. Full Compliance for North America. Event Scheduling: Real-time power control. Management Utility: Easy Setup, Firmware upgrades and Reset to Factory Default. Easy Software Integration: Protocol, API and Sample Software and Scripts provided. Question: Can you input a schedule for automatic reboots/resets in this device? *1) The first method is through event scheduling. iBoot-WiFi can schedule up to eight reoccurring power events. Set the starting date and time, plus the action to be taken and any repeat cycle for each. This is the most common type of scheduling. *2) A second method is through Auto-Ping, where the iBoot-WiFi can automatically detect failed equipment and perform a timed reboot or other power control function (like turning on an indicator or siren). You set 1 or 2 IP addresses to be periodically pinged. When iBoot-WiFi no longer detects a response from the IP address(es), the programmed power control function is actuated. 3) You can also use the Dataprobe Exchange Protocol (DxP). The DxP protocol will allow a developer to turn the power on and off and read outlet statuses via custom applications. 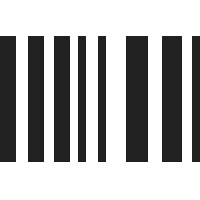 More information about the DxP protocol can be found at the Dataprobe iBoot support page. *Options 1) and 2) above can simply and quickly be configured using the built-in 'Web Browser Power Control' interface - no special software is required. Note, you can also use iBoot-WiFi's Command Line Interface (CLI) which allows direct control and setup through Telnet. For more information on setting up scheduling, please refer to the iBoot-WiFi Manual. You may also be interested in the iBoot-WiFi Quick Start Guide (quick overview of basic set-up, does not include scheduling).